A photograph of Fifth Avenue in New York City illuminated by electric light, 1913. 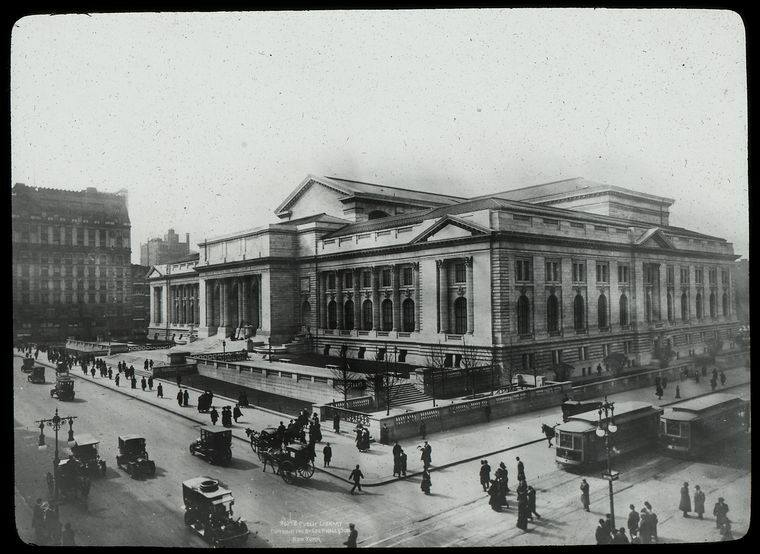 “Central building, exterior views, Fifth Avenue,” Digital Public Library of America, http://dp.la/item/3357c9e7d1641c68cebe1a645cc3446a. Excerpts of data from Forty Years of Edison Service, 1882-1922; Outlining the Growth and Development of the Edison System in New York City. Excerpts from Recipes for Cooking by Electricity, issued by the New York Edison Company, which introduced customers to electric appliances. A 1906 map of New York City showing the United Electric Light and Power Company lines. A 1910 catalog of Edison-Lalande batteries and other electric appliances produced by the Edison Manufacturing Company. An excerpt from the 1930 book Edison as I Know Him, written by Henry Ford, detailing the “debt” America owes to Edison for his work. A catalog page from the early 1900s showing shades for electric lamps. An illustration of “bathing by electric light,” 1880. An electric motor for alternating current by Westinghouse Electric, 1888. A photograph of Westinghouse equipment. A photograph of the World’s Fair Pan-American Exposition buildings lit up by electric light, 1901. “Petaluma’s pride,” an 1898 atlas article describing a California power company. Drawing of the Incandescent Light Bulb by Thomas Edison, 1880.